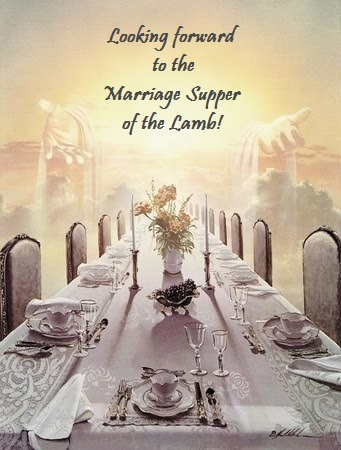 Looking Forward to the Marriage Supper of the Lamb! Revelation 19:7-9 - "Let us be glad and rejoice and give Him glory, for the marriage of the Lamb has come, and His wife has made herself ready." And to her it was granted to be arrayed in fine linen, clean and bright, for the fine linen is the righteous acts of the saints. Then he said to me, "Write: 'Blessed are those who are called to the marriage supper of the Lamb!'" While we await the day that we will taste of the heavenly manna, we can thank the Lord for the blessings and enjoyment of food today. In addition to prophecy, cooking is another passion of mine. I hope you enjoy this collection of my favorite recipes, while we look forward to the "marriage supper of the Lamb!"